Here is a clip from my recent speech at Cornell University. I touched on some of my new material around workplace trends and the future of careers. You can expect a lot more new content this year since my new book is coming out this fall and I’ll be touring. 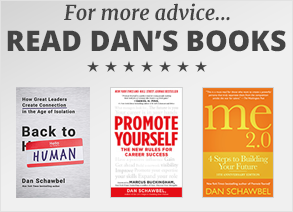 Hire Dan Schawbel to speak at your next event. Click here for more information.